In our last booth tour of the week, we hung out with the folks from Toshiba to see what they have in store for 2012. 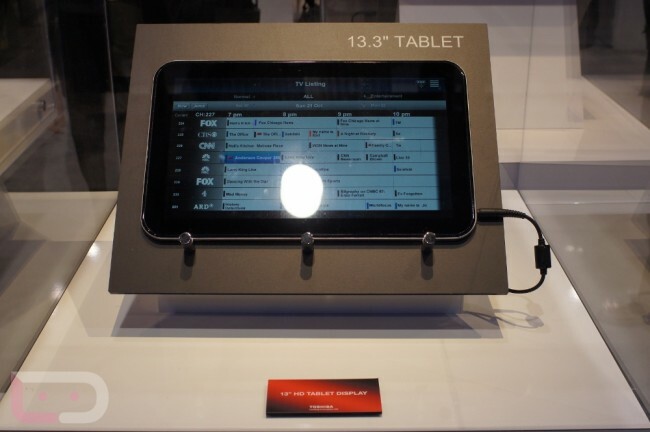 There were 4 tablets on display, some that will come to the U.S., others that will stay over in Japan. 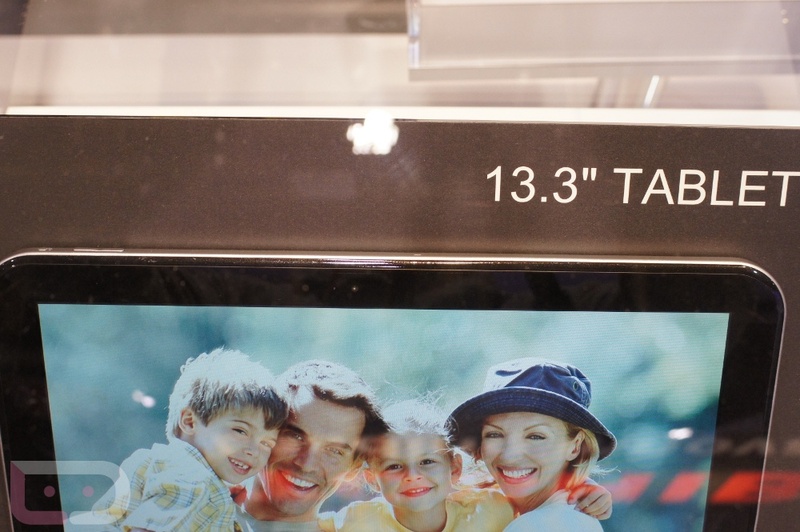 The most eye-popping was clearly the 13.3″ behemoth that you are seeing above. 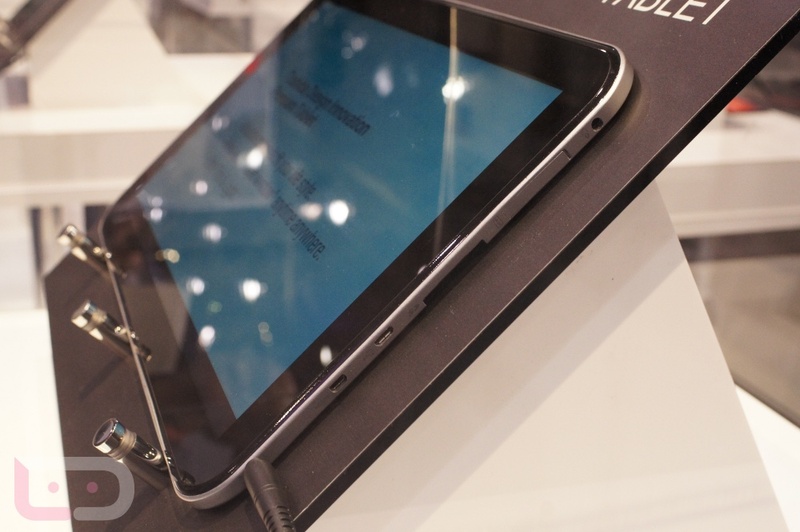 It current remains nameless and has a mystery list of specs, but our mind is already running through ways to put such a massive portable tablet in action. Assuming of course that it is portable at that size. 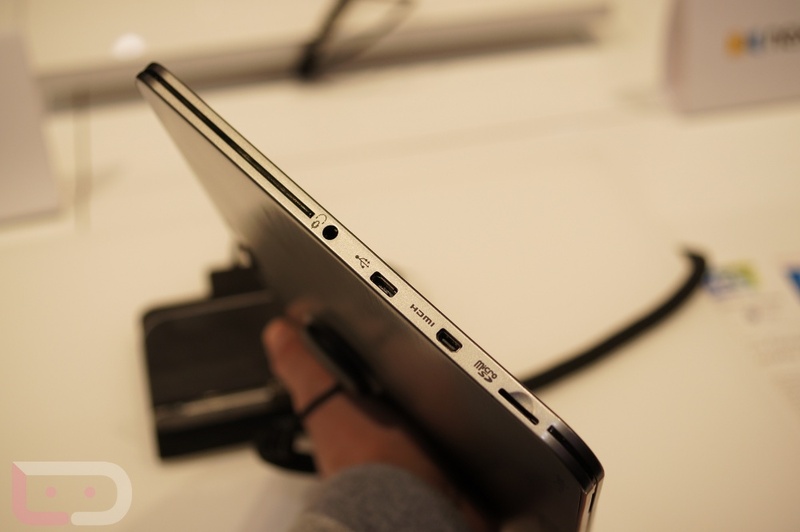 It had all of the standard ports such as micro-HDMI and USB. There were dual cameras and a similar back material to what you will find on the Excite X10. To see more of the beast, along with the rest of their 2012 works, jump past the break. The Excite X10 will most definitely be in stores during the first half of this year. 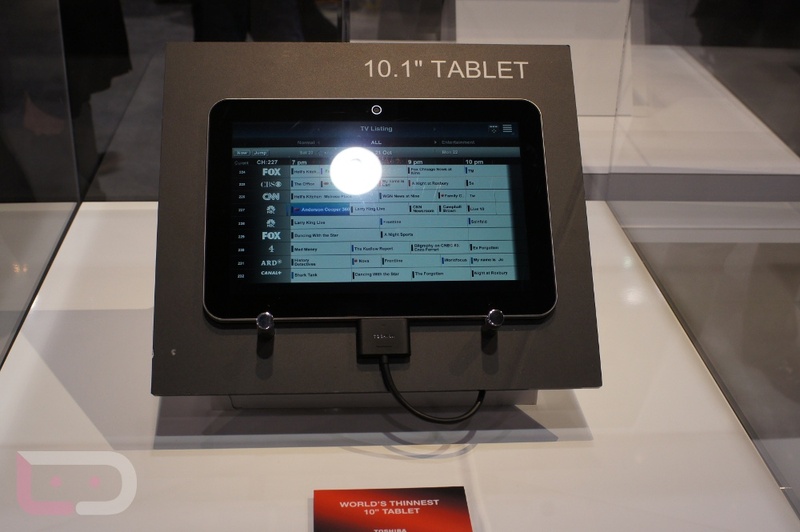 Of all the tablets on display in the Toshiba booth, this is the most ready and was actually available to be held. If you follow us on Google+ then you probably saw this device already. It boasts a 1.2GHz OMAP4430 dual-core processor, 10.1″ Gorilla Glass display and just so happens to be the world’s thinnest tablet (for now). The build quality of the device feels top notch, is ultra light, and bears no resemblance to their two Thrive models. It currently runs Honeycomb, but depending on launch, it may see Ice Cream Sandwich. 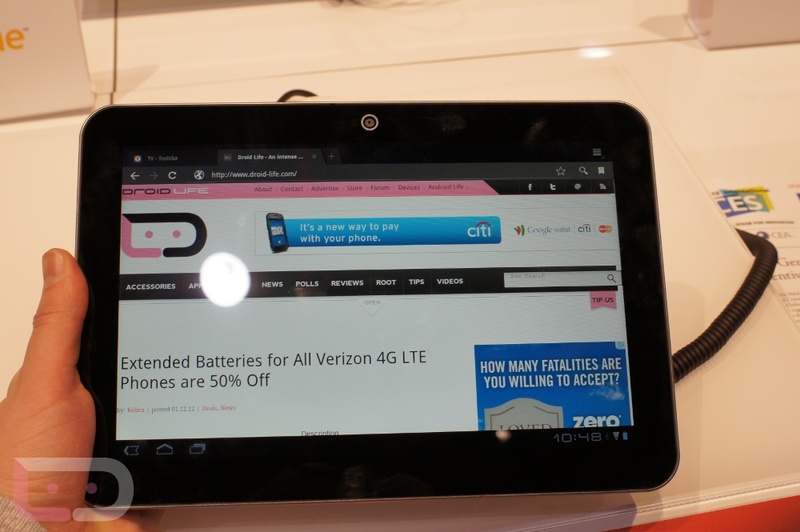 The last two tablets we saw were on the smaller side. 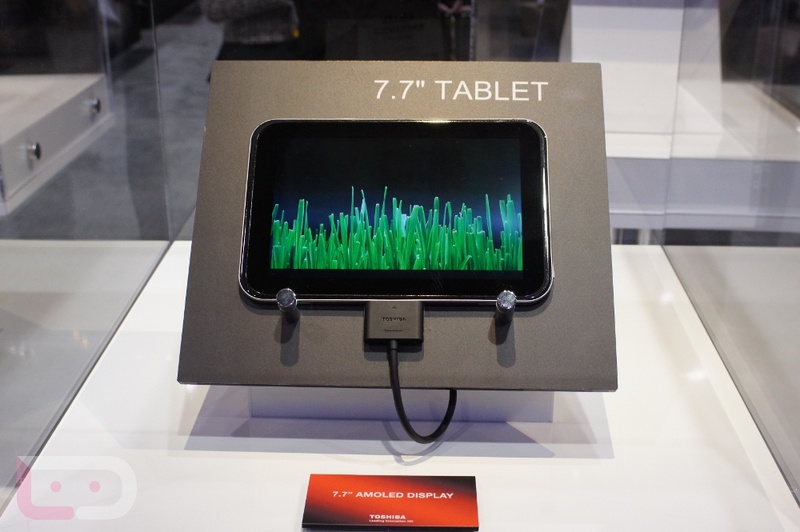 One was a 7.7″ OLED tablet made specifically for the media hog. 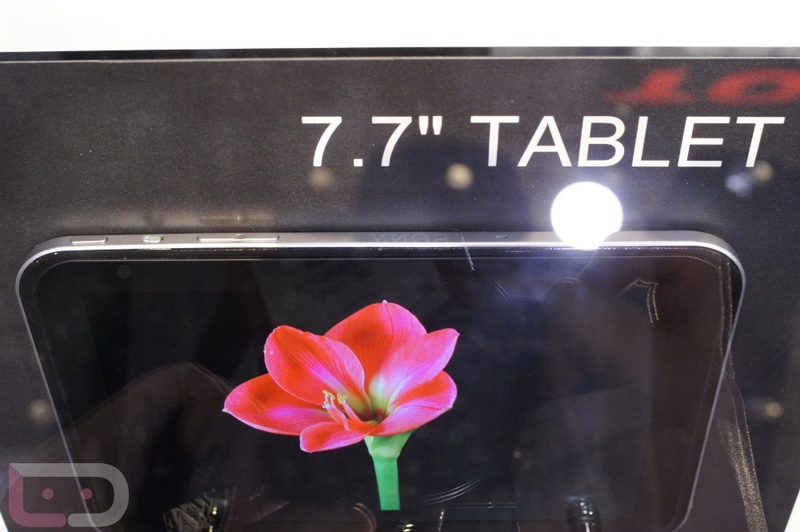 The screen being OLED is much more vibrant for watching movies or viewing photos, but it’s also ultra portable at that size for the traveler who needs entertainment. 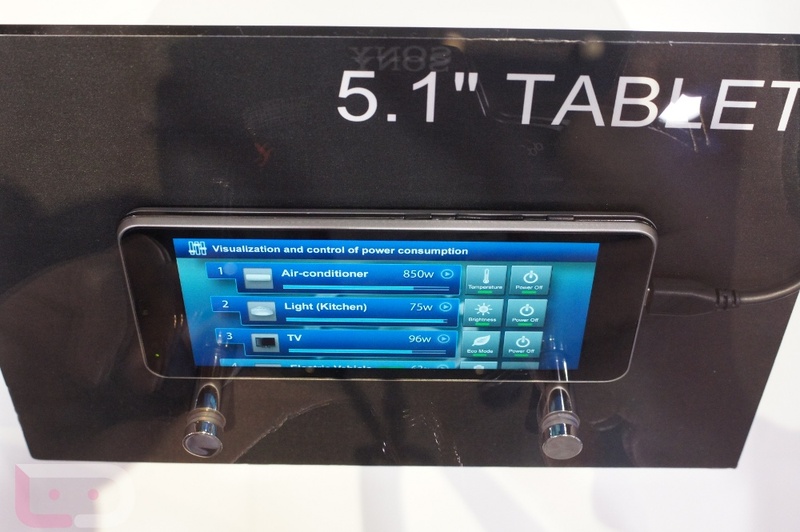 The second was a 5.1″ tablet (not a phone) that will likely stay in Japan and not come to the States. It rocked a 21:9 ratio to give you an almost edge-less viewing experience. 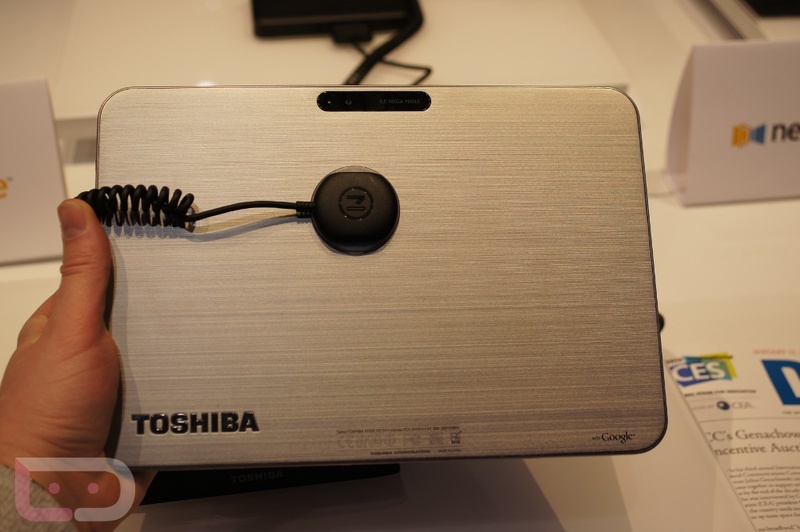 Overall we liked what we saw from Toshiba. 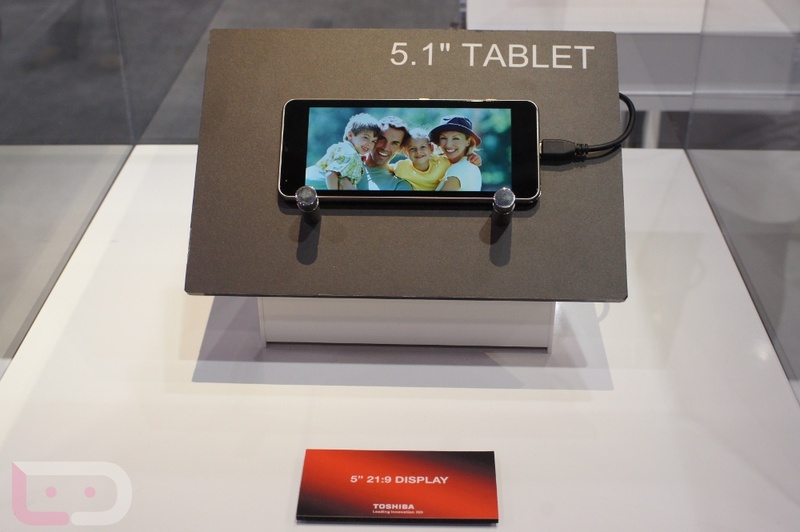 As with all tablets we seem to see these days, their success depends almost solely on price. Let’s hope they come in with something ultra-competitive.